There is nothing better than strolling off the beach with your locks effortlessly looking ready for a night out. Both men and women strive for that tousled beach hair no matter if it’s summer or winter. Wouldn’t it be nice to have that careless wave to your hair all the time? Unlike undershirts for men, your hair is not something you cover up. One of the first things people see is your hair, so it has to look good. Sea salt spray is the new must-have product that allows this dream come alive. Exactly what it sounds like, this product is based on a combination of sea salt and water. But how does the salt not draw out all the moisture in your hair, you may ask? Well, it is necessary for the salt to be a drying component to produce the texture for the look. It is equally important that other products such as moisturizers and essential oils are mixed into the spray to prevent total dehydration of the hair. If you aren’t sure what sea salt spray is, chances are you don’t know which one you need, either. Keep in mind how you like your hair to look, feel and smell and that will help you to determine how to choose the best one for your needs. Salt opens the follicles in your skin and forces strands of hair to swell, resulting in improved texture and volume. Rubbing in the salt can promote better circulation and strengthen the roots. Acting much as a dry shampoo, sea salt also absorbs the oils your body produces that make your hair look greasy. So, if you want to eliminate oil from your hair, why would you want a spray with more oils in it? The key is what kind and how much of a certain oil the product contains. Moderation is essential to obtain the perfect amount of shine and texture. Coconut oil and aloe vera in the right amounts can moisturize the scalp and hair while leaving a non-sticky shine. 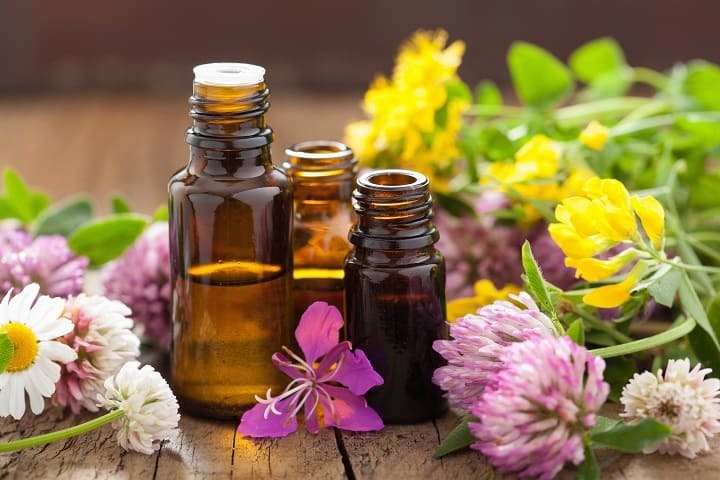 Essential oils leave a pleasant scent. To supplement healthy hair growth and sun protection, vitamins are also commonly added in. Besides the obvious physical advantages, the ease of use of this product is a huge benefit, too. Sea salt spray is a shortcut to achieve a versatile hairstyle by only requiring a few pumps of product and your fingers to disperse it. 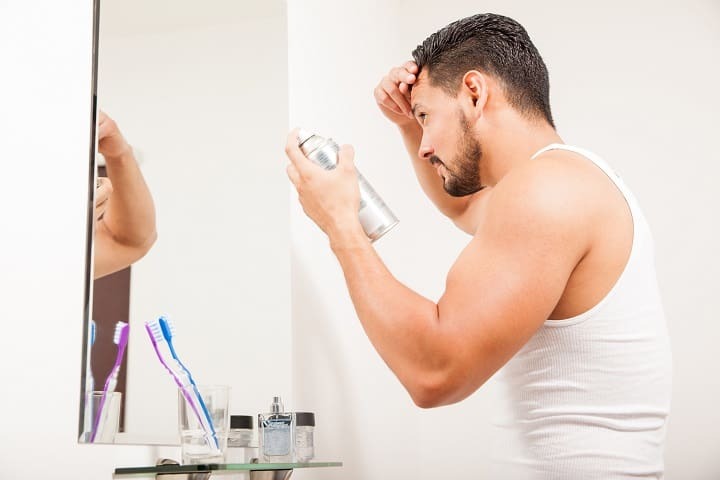 This makes it a great styling product for men in particular, who usually don’t like to spend a lot of time getting ready in the morning. Coconut oil is full of antifungals, antioxidants and fatty acids, making it a good ingredient to look for. Using only a small amount of this scalp nourishing oil can help make your hair grow faster. The minerals found inside remove build-ups from the root while moisturizing and taming frizz. The point of a sea salt spray is to mimic the look and feel of a beachy hair. While the salt adds the dryness and curls, the grit of sand is missing. That is where the clay gets added to the equation. It rounds out the texture while giving the hair slightly more hold than the salt alone can provide. This plant has saved all of our lives from sunburns at some point. Did you ever think about having it in your hair? The same soothing gel can transform your hair’s health. Packed with vitamins, it will make your hair stronger and shinier. Aloe reduces itching and redness as it brings the scalp’s PH back to normal. The most important quality of aloe is that it helps the strands retain water. Lavender, rosemary and cedarwood all stimulate hair follicles to aid in growth. Rosemary helps with thickness and chamomile makes your hair soft and shiny. This is just the beginning of a long list of beneficial oils found in sea salt sprays. The best part is that they smell great, too. Sea salt sprays that contain any type of chemicals should be avoided at all costs. The purpose of this product is to use the natural minerals from the salt to style it instead of harmful man-made materials. These are common additives that are often included in hair care and beauty products. They’re used to extend the lifetime of different products and to kill any bacteria and fungus. It’s unsure if these chemicals lead to cancer and until further research is being done, it’s suggested to avoid using them. Sea salts spray don’t discriminate when it comes to hairstyles or lengths. Anyone can use them! While the effects can be seen better on medium to long hair, even men with a crew cut hairstyle love to use it. Thick or thin, your hair’s natural volume will be maximized without the gunk of other products weighing it down. If your goal is to achieve the trending lumbersexual style – long wavy hair on top faded down to almost nothing on the sides, a flannel and some chelsea boots – sea salt spray is a must. Naturally curly haired people love this product as a quick spray and scrunch method to liven up their ‘do. You won’t even need to use much because it will enhance the natural waves you already have. Flat and straight becomes full and bouncy with a touch of waves. Either scrunching it up with your hands or wrapping it up in a bun until it is dry, you will have an effortless texture where there is none naturally. Unlike hairspray or gel, sea salt spray doesn’t leave a hard build-up on the hair. This type of product is meant to leave a tousled look that has movement. Working the liquid into your hair and blow drying it will help keep the shape you want. To increase the life of the hold, make sure to follow the proper application techniques. Sea salt spray can be used by itself or as a primer for other hair products and it will generally hold until you wash it out. The choice depends greatly on the type of your hair. Whether your hair is natural or curvy, thick or wavy, fine or damaged and even colored or bleached, there’s the right sea salt spray for you. 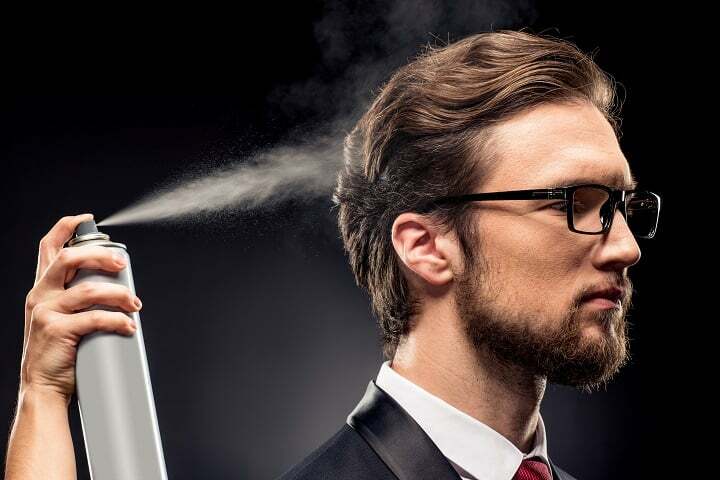 Men with this hair type should opt for sprays that provide a lot of moisture, but which don’t contain harmful ingredients that can dry their hair out. That means you can’t go wrong with items made of argan, coconut or avocado oil as they keep your hair soft while also retaining the necessary moisture. If you have curly hair, then you’re one of the few lucky ones. The only thing you might want from a sea salt spray is to improve your hair’s texture, but keep those beachy waves in the process. Therefore, an ideal solution for you would be to use a styling cream before even thinking of using a sea salt spray. 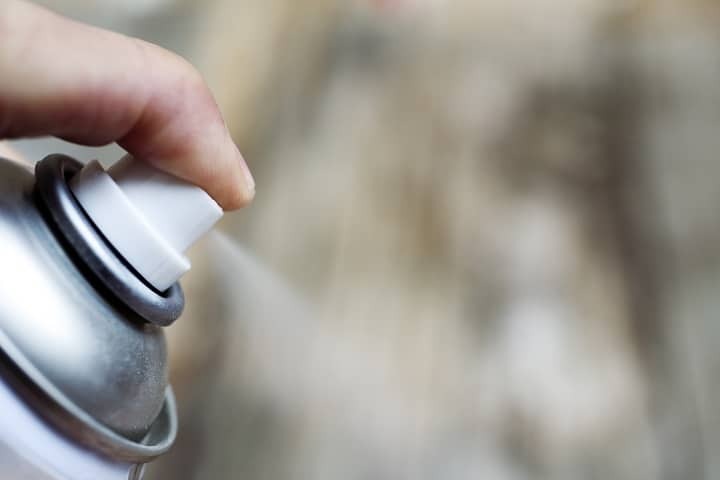 When the time for spray comes, go with the one that has aloe vera in it. Also, make sure not to overapply it because the effects will be opposite than intended. Knowing how hard it can be to preserve or boost a natural wave in a thick hair is important in choosing the best sea salt spray for you. Most products can’t last more than a few hours, after which the hair returns to its natural state. However, not all hopes are lost. Sprays that are known as hydrating help in adding volume to thick hairs without making them brittle. They also feel sticky and heavy, but that’s precisely the reason they work in this case. Ensure that your hair is dry before you even apply the spray to make sure you get the best results. If your hair is wavy but doesn’t have curls, a spray with active essential oils and organic ingredients is a way to go. This item will improve your hair texture and leave you with an ideal matte finish at the same time. Usually thinner than most other hair types, fine hair doesn’t have enough bounciness to keep those waves you wish. To resolve this, get yourself a sea salt spray with lighter ingredients like sugar, for example. Also, it’s crucial that you spray it extremely close to the roots of your hair. Make sure to do this only after drying your hair. After the application, put your hair upside down and blow dry it, while at the same time scrunching it. This way you’ll get the needed volume and grit, as well as those amazing beachy waves and bounciness. To keep your new, awesome hair color, you’ll want to look for a product that doesn’t contain alcohol at all. This way, you won’t wash away or fade the color and you’ll still get a great texture and waves. Usually one of the driest type of hairs, bleached and highlighted hair also feels rough. What this means is that you need a spray that’ll improve moisture, add more grit and provide that beachy wave texture, while softening your hair at the same time. You’ll want to avoid products that feel too strong or sticky and opt for those that are able to block harmful UV rays. The critical thing for an already damaged hair is a gentle spray formula without salt because this ingredient can make it even drier. This being said, the best solution for you is a product that doesn’t soak the hair, but still gives it texture. Those are usually sea salt sprays with fragrances, oils or plain water. Made with a combination of texturizing sea salt, sea kelp and organic argan oil, OGX Moroccan Sea Salt Spray is well designed to give your hair the much needed soft curls, defined waves and a beautiful voluminous look. 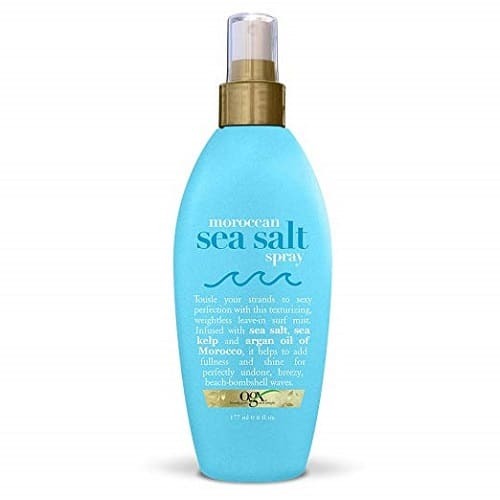 Most ladies love this product because it’s infused with sea salt which functions to make their hair gain a refreshing silky and shiny beachy hairstyle. This spray has also been well-formulated for use on a color treated hair. Therefore, if your hair is colored, you can use this product on it without getting any adverse effects. Its application is as easy as just spraying it all over your damp hair and scrunching with fingers. You can decide to air dry your hair or use a diffuser to blow dry it after the application. Created with salinity that resembles ocean water, Herbivore Botanical Spray is all you need to achieve perfect natural bouncy hair waves with a fantastic beach texture. This elegant spray has been infused with sodium chloride, water and lavender essential oil. They all work in making you look groomed with a perfect and artful beachy look. The infused lavender essential oil provides a soothing effect with a great natural scent, while aloe vera helps maintain a balanced healthy and moisturized condition that your hair needs the most. You don’t need to worry about harmful chemicals, because this spray does not have synthetic ingredients, such as dyes, preservatives and fragrances. It’s purely vegan and natural. Furthermore, it is very simple to use and you can spray it at any time to increase texture and waves to your hair. 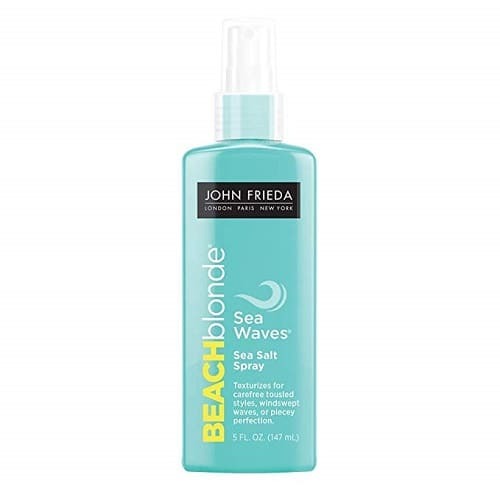 Skillfully designed with a natural sea salt, John Frieda Spray is well placed for enhancement of natural and artfully looking hair waves with improved grip and great texture. If you want a hair spray with an associated nice smell, this product is for you. Most ladies like the fact that it’s infused with coconut fragrance to give a lovely and uplifting beachy smell. This product is designed for use on all hair types. You can safely use it even If you have a hair that is color treated. Furthermore, you can apply it whether your hair is dry or damp. With an added sea salt, this spray provides a subtle volume that feels lovely in the hair and at the touch. It’s also incredibly easy to use. Carefully designed and well incorporated with friendly ingredients, Catwalk Spray comes out as the best hair product that gives you the confidence to walk the streets knowing you have exceptionally good textured waves, great smell and tousled look. This spray has a compounding formula that’s effective in controlling humidity to help keep your hair naturally smooth and defined. It further adds volume to your hair for an amazing holding experience. The resulting nice beachy waves are known to last and keep you groomed for most of the day. You need very little effort to apply this spray and it can be applied to both dry and wet hair. You can spray it into wet hair to increase volume or into dry hair to achieve a great tousled texture. Aquage Sea Salt Spray is specially formulated to give you the best value for your money and most importantly the elegant beachy look that you yearn for. What makes this spray one of a kind is the proper infusion of magnesium, dead sea salts and botanicals. If you are looking for something to help with adding thickness and increasing the holding volume to your hair, look no further because this spray is ideal for that too. Unlike other sprays out there, this one will dramatically add fullness without causing stiffness to your hair. It’s also popular among users for its ability to give an admirable hair definition. Furthermore, it’s effective in helping with the enhancement of strand separation. After spraying this product to hair, you can decide to use either your fingers or a wide comb to style your hair. Designed with effective texturing, softening and tousling capabilities, Awapuhi Spray is set to perform great in ensuring that you stand out in the crowd. Easy to notice increased lush volume and movement of the hair are just two of the amazing features that make this spray a top product among users. Specially formulated with ultrafilters, it helps block UV rays that can damage your hair. It’s also gluten-free. If you have a color treated hair, it’ll still offer you great results without any undesired effects at all and extracts it contains will perform best in balancing hair moisture for a healthy finish. This spray will leave your hair with an undeniable great smell caused by the infusion of fresh ginger, green tea and tropical mango fragrance. Using this product is as easy as spraying it liberally to your damp and clean hair before tousling with fingers. You can choose to blow dry with a diffuser or air dry. 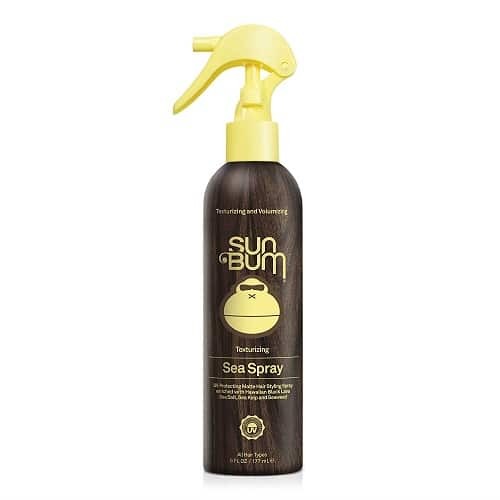 Formulated with Hawaiian sea salt and black lava, Sun Bum Sea Salt Spray along with the other products gives your hair a more defined and a nice windswept look. It’s also designed with features that will make your hair gain natural beachy waves and voluminous look. To improve your hair strand separation, this product is made with a lightweight formula. It’s also ideal for controlling humidity that can cause frizz. You’ll find hair styling with this product extremely easy. It has a great matte finish and is further infused with a nice pleasant smell that can easily be noticed wherever you show up. You don’t have to worry about your hair getting damaged by the sun while using this product because it’s well designed to protect it from UV-rays that can cause discoloration or weakening. 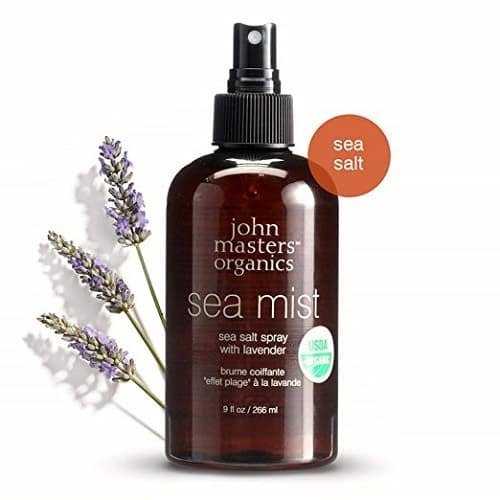 Perfectly made with a fantastic blend of natural and organic ingredients, John Masters Spray prevents loss of hair and increases its volume and texture. It also prevents hair from being too oily. The infused sea salt helps absorb excess oils in the hair during washing. This product is made with lavender oil that helps in balancing scalp conditions and preventing your hair from drying. Lavender oil keeps hair hydrated, therefore, leaving a delicate and calm scent. If you need something natural for your hair, this product will serve you best. It’s gluten-free and you can also use it if you have a dyed or colored treated hair. Davines Sea Salt Spray is carefully made to give you the best results. It’s filled with ingredients that make it ideal for fine hair enhancement. It also gives a nice texture and adds extra fullness with a great matte finish. This spray will not only give your hair a nice charming look but also make you smell pleasant. It’ll leave your hair shiny with tousled and amazing beachy wave curls that are easy to notice wherever you go. This product is easy to use, but it’s advisable to properly shake the bottle contents before spraying on dry or wet hair. With a perfect mixture of sea botanical, tropical oils and sea minerals, Bumble and Bumble Spray is the secret that excellently streamlines and conditions hair. One reason why you need to get yourself this spray is that it’s known to do incredibly well in nourishing and providing a great texture that enhances waves. You can rely on this product since it’s formulated with features that add holding volume. If you keep having troubles with dry hair, this spray is ideal for you. It’s known to help with repairing dry hair by adding moisture to the strands. Furthermore, it has ultrafilters that shield your hair from sun damage. It’s easy to use and you only need to be careful not to apply too much. You can spritz it through wet hair and blow-dry to achieve a gorgeous voluminous look. Crafted with a fine blend of purely natural ingredients, Salt Texturizing Spray is the best hair spray any man can ask for. This water-based spray is the best product to use if you prefer products with organic ingredients. It’s well formulated and popularly known by most men for its incredible ability to absorb excess oils and leave hair with awesome texture and nicely added volume. This product enables you to make a nice hairstyle and it also improves hair definition which will make you the center of attention wherever you go. Men find this product very useful when it comes to refreshing hair by masking off or removing the grease from the scalp. Carefully created with a blend of lychee, watermelon and flower extracts, ORIBE Apres Spray is the best you need to defend your hair from aging, deterioration of natural keratin and oxidative stress. It’s also ideal in protecting your hair from drying, color-depleting effects and damage. This product will serve you best if you are looking for something to make your hair shaft swell and cause a wavy texture that is incredibly light to hold. It also contains a mixture of moisturizers, oil and plant extract that help give your hair a soft, silky and sultry texture. Most users also find this spray very useful for protection against sun damage. This is because it’s infused with a root extract known as Kaempferia, which blocks UV rays. Ladies find this product the hidden secret to achieving a great smelling bombshell hair, nicely tousled and lovely to touch waves without salty stiffness. Infused with pure coconut and sea salt, Alaffia Spray will make you feel good about your hair by adding volume and great shape to it. The unrefined coconut oil used as one of the key ingredients in this product has natural antioxidants and is popularly known to protect hair against sun damage. This texturizing spray is also cruelty-free. It has no synthetic fragrance and parabens. Furthermore, it’s also purely vegan which makes it ideal for everyday use and on all hair types. It’s very easy to apply this product, but first, be sure to properly shake the bottle contents before generously spraying on your dry or damp hair. You can decide to use a blow dry or let your hair dry naturally. This spray can be used as a dry shampoo-like product on a dry hair, but for the best results, it’s recommended to start with clean hair. You will want to towel dry it well or use a blow dryer until hair is no longer damp. Tousling and working the product from root to end can bring out dead skin cells, so avoid flaking by using anti-dandruff shampoos. Shake well before use, as components in the mixture may have settled to the bottom. Evenly spray the mixture all over your hair. With differing combinations of ingredients in different products, check what is the recommended amount because it can vary. As a rule of a thumb, always start with less. You can add more if necessary. Massage the product into your hair from the roots to the ends. For a more unkempt look, use your fingers. For a neater look, you can use a comb. Ruffle or scrunch the hair according to your liking. When styling your hair, you can either blow dry it or set it and let it air dry. If you have naturally curly or wavy locks, you can easily let them dry naturally. Blow drying can be used to help increase volume or for a more defined hairstyle. Sea salt spray can be used alone. 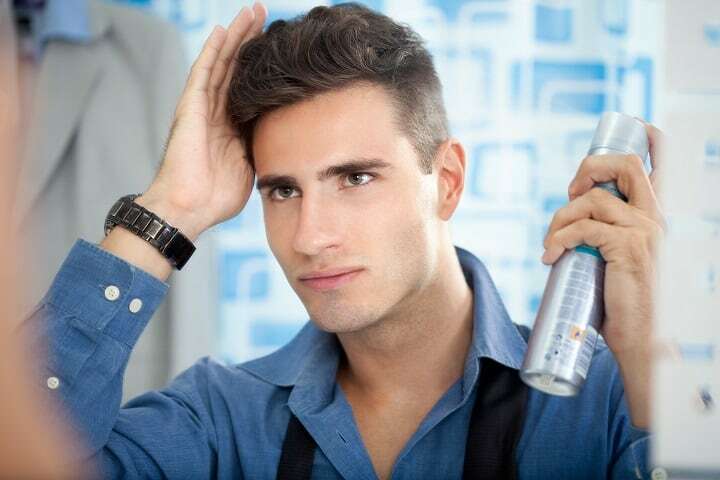 If you want more hold, just apply a small amount of gel or hairspray on top. This will prevent you from having to reapply or fix your hair throughout the day. Sea salt spray does sustain qualities similar to other hair styling products but is meant to be an alternative to some of them. The main difference between these two is the base ingredient. Dry shampoo is a spray-on powder material, while a spray is a liquid. Both of them eliminate grease build-ups, but a sea salt offers more volume with less amount of product. Texture powder does everything opposite of dry shampoo. It’s meant to be sprayed on a dry hair to add long-lasting volume and a matte finish. With no grease fighting ingredients, you would need a sea salt spray and a dry shampoo to cover up dirty hair. It’s like wearing short socks for men with boots, it gets you halfway but won’t complete the job. Why not just buy sea salt spray to get it all in one? Gel is an unworkable and super hard holding styling product. Once the gel is dry, it’s difficult to adjust, but the application is fast and simple. 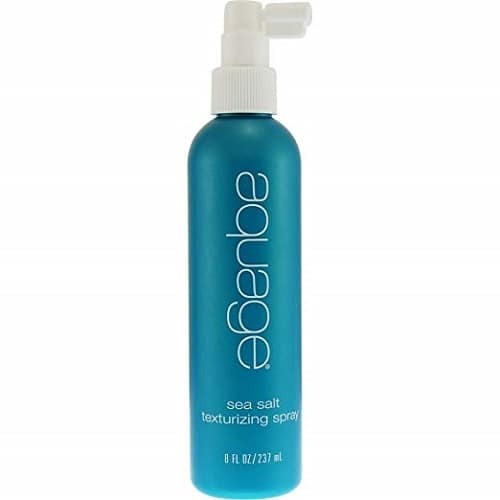 Sea salt spray differs because you can easily reshape the hair and it does not have much hold. As for the ease, it’s just as quick and simple as putting it on and letting it dry. 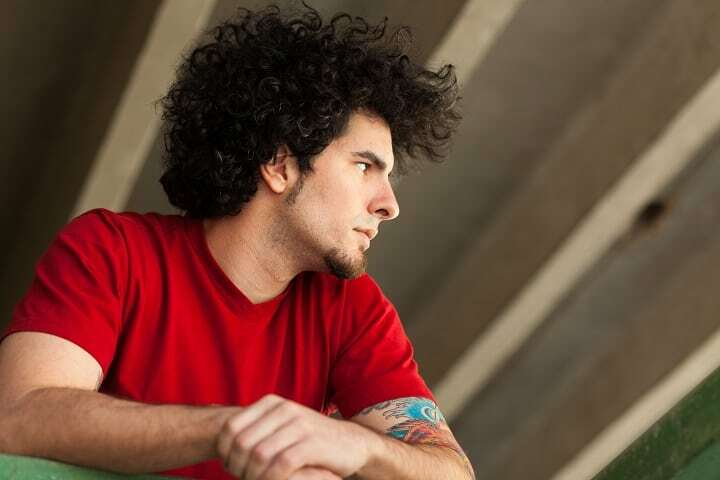 Hair fiber is a similar product to natural hair clay for men. With a thick and chunky texture, it must be worked in your hands before it can be applied. The substance then binds to the actual hair for a stiff spiked hold. Meant for shorter hair, it can be a painful mess to use on anything but. 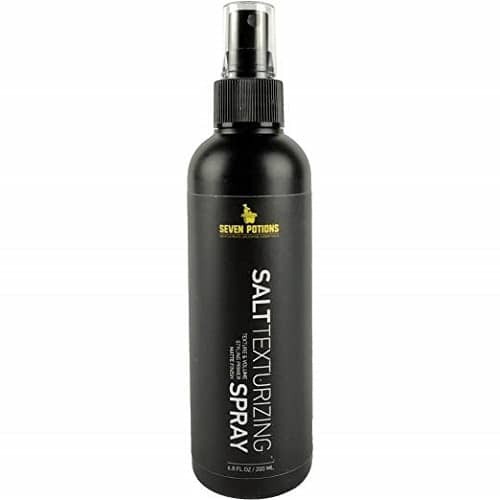 While you won’t get the same stiff hold, a sea salt spray makes for a much shorter process that involves no pain and can be used on any hair type. Oily hair is not a look anybody wants to have, no matter how beneficial the product is to hair health. But good quality hair oils don’t leave a greasy look – they add moisture and shine. Nevertheless, they don’t offer the same texture sea salt spray does. It can have the same oils and offer a bonus of effortless styling. Even the best hair cream for men doesn’t compare. Creams can leave a sticky and unnaturally shiny residue on the hair. Who wants that kind of a mess? Sea salt will deliver nutrition just as cream would, but it will leave no visible or physical residue behind. Typically diluted with water or oils, hair wax is made from what you would expect – wax. It bears similarities with sea salt spray in that they often have coconut oil as an additive, a matte finish and moisturizing properties. The main difference is in the hold. Wax has a hard hold that could potentially look flakey from drying out. Sea spray will not be visual once it dries and has little to no hold. This oil-based product is meant to lock your hair in place and give it some shine. It’s so strong that you will not sweat or wash it out without putting in some serious effort – it could even take days. This is the opposite of everything beachy hair sprays stand for. The idea is to have styled hair with movement to make it look as natural as possible. You will not experience the weight, stickiness or shine with a spray like you would with pomade for men. Sea salt spray is the perfect product for everyone to use for that extra oomph they need for their hair. Along with staples like face wash for men, deodorant, and toothpaste, this styling product is a must-have in your bathroom. So make your hair happy and find the right sea salt spray for you today! Photos from: luckybusiness / depositphotos.com, nito103 / depositphotos.com, duskbabe / depositphotos.com, tonodiaz / depositphotos.com, fotoluminate / depositphotos.com and DmitryPoch / depositphotos.com.